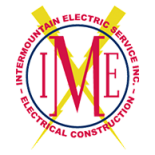 Electrical Substation Construction | Intermountain Electric Service Inc.
Intermountain Electric has been a leader in substation design and substation construction in Wyoming since 1975. With expertly trained technicians and engineers, specialized substation equipment, and experience with commercial, industrial, and oilfield projects, we’re your top choice to tackle any substation project. Learn more about our substation services below, and schedule a free consultation today. Our substation engineers can create high voltage substations for a variety of purposes, spanning from 4160V to 230KV. We’ll also design any necessary switchyards and distribution/transmission power lines (overhead and underground) from 5KV to 230KV. Our substation construction teams keep you in the loop on project progress and use high-end technology to make construction simple and easy. Our fleet of substation technicians help with basic upkeep of substations and switchyards, and will perform any necessary repairs to keep things up and running and prevent delays or obstructions. For over 40 years, Intermountain Electric has been a nationwide leader in substation services. From design to construction to maintenance, we offer reliable electrical solutions that keep America running. Call any of our regional offices, and schedule a free consultation today.